During a recent Street Fighter event in Japan, a handful of Chun-Li cosplayers were assembled for the Miss Chun-Li Contest. And the winner? The dude who was dressed like Zangief. Because if you are going to have a Miss Chun-Li Contest, you might as well give it to the muscle-bound entrant in tight, red underpants. Chun-Li cosplayers included the likes of model and gamer Kayo Satoh, pin-up Yuka Kuramochi, and actress Mai Hino as well as body builder Taichi Shimizu as the Red Cyclone. 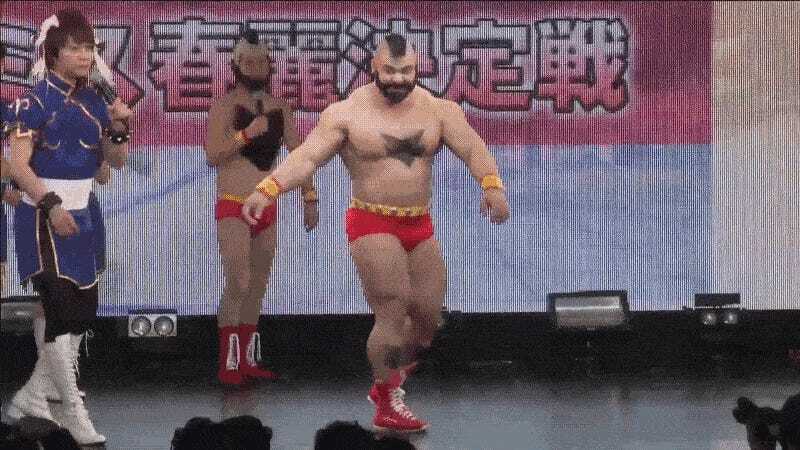 You know, the best Zangief cosplayer ever. The contest hasn’t even started yet, but Shimizu has already won. 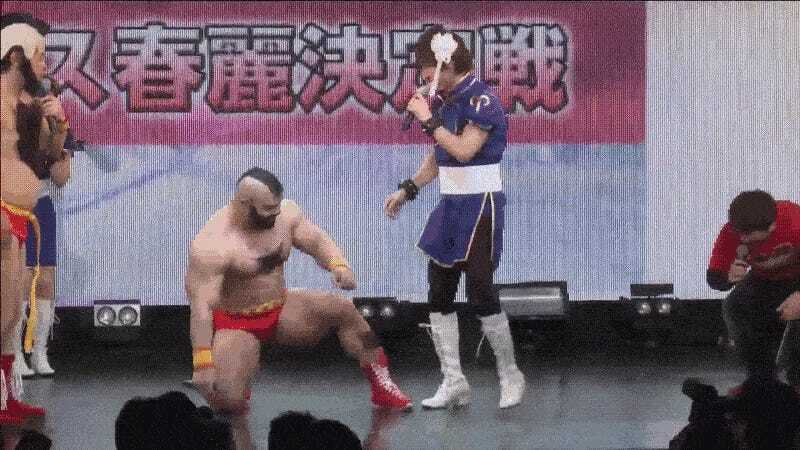 They actually wanted Shimizu to cosplay as Chun-Li, but since he’s a body builder, the only way they could get the okay for him to appear was as Zangief. So, even though he’s not cosplaying as Chun-Li, he is actually competing as Chun-Li. Contests had to compete to see who should be crowned Miss Chun-Li. Not only is Kayo Satoh (above) a terrific cosplayer, but she’s also a very talented Street Fighter player. But how do you go up against this? So when it came time to pick Miss Chun-Li, there was only one illogical choice. The moment you find out you lost a Miss Chun-Li contest to a Zangief cosplayer. Taichi Shimizu, your Miss Chun-Li 2016.